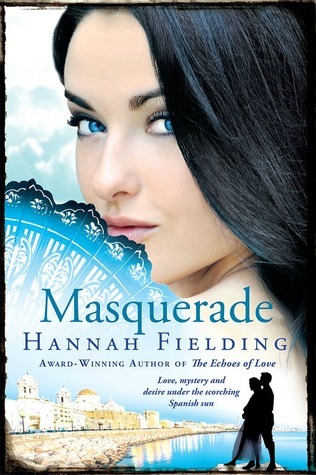 Masquerade by Hannah Fielding is the first book by the author that I have read and I really enjoyed reading it. The cover, title and blurb are all so beautifully portrayed that they pulled me instantly towards this book. Hannah Fielding takes us to Spain and although I have never been there, it felt like I was actually there and could feel myself soaking the atmosphere. The characterization is expertly done and the characters are complex people with multi layered personalities. The author's writing style is fluid, narrative and so expressive that she had me feeling myriad of emotions. I enjoyed reading the book and although being a length one with 442 pages in print, I read it in one sitting. All in all, Masquerade by Hannah Fielding is a lovely romance that had me entertained throughout. 4 out of 5 to it and recommended to all romance lovers.